but he that keeps the law, happy is he. Your life has purpose. Your family has purpose. Your homeschool has purpose. You know what is important to you. And you know what is in your heart. But maybe you haven’t expressed it with words nor put it on paper. Yet doing so is a very beneficial action that will help you and your family throughout your life. A Family Mission Statement is an effort to define the vision of your family and therefore the mission or purpose of your family. You can write your own Mission Statement any time, but sooner rather than later is best! You might be recently married – get started on it today. You might have just found out you were pregnant or have a new baby. Maybe your children are school aged. Or even high school aged. It’s never too late to articulate your thoughts, values and vision and put them down on paper. reaches the heart of the family members. This is not just a formula or a bunch of rules. It goes beyond laws and touches the heart. a Mission Statement will keep you focussed on your goals. a Mission Statement will help you discern a course of action when ever you need clarification. It will aid you in making rational decisions. let others know your values and priorities for how you spend your time and money. is a perpetual reminder to the family. dictates your daily interactions with family members and with others. dictates your daily rhythm or schedule. dictates what you do and how you do it. assists with direction, focus and motivation. For the Christian the first step is to pray. Put it before God and ask Him for revelation. Then take time to ponder the questions below and discuss them with your spouse. After awhile, grab a pen, your husband and start mind mapping. What do we feel strongly/passionately about? What things are important to us, as a family? What abilities and interests and concerns has the Lord given to us, as a family? What are our strengths are as a family? What makes our family special? What should we do more of as a family? What should do less of? What is the one thing we desire to see happen through us in the world? Can we see any specific ways of making this happen? Include any quotations, Bible Verses, poems that help you articulate your thoughts and/or sum up your ideas. regarding our individual and our family’s ministry in the Kingdom? regarding the children He has given us/or may give us? That seems like a lot of questions! However these are only suggested questions to get you pondering so you can devise your own Mission Statement. This list is not exhaustive and it isn’t meant to be used in a rigid manner. Rather you can use the questions to pray and meditate upon and talk with your spouse and children about. These questions are a springboard not a quiz! Print it out. Inspire your children by sharing it with your children. Commit to your Mission Statement. Commit your Mission Statement to God. Be prepared to reassess your statements periodically. It’s important to examine our priorities on a regular basis so that we can pro actively work toward them. 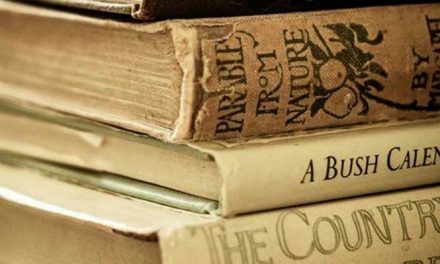 You may prefer to use such terms as Family Motto, Family Creed, Family ways, etc. The wording isn’t the important part. The content is. Academics which may serve to give you an example of our educational philosophy or educational mission statement. Our family goals for Bible Study may also be an example of our Family Mission Statement for Bible Study. Although I didn’t set out to write a Mission Statement about our Family Health, this is very similar – In Our Kitchen. 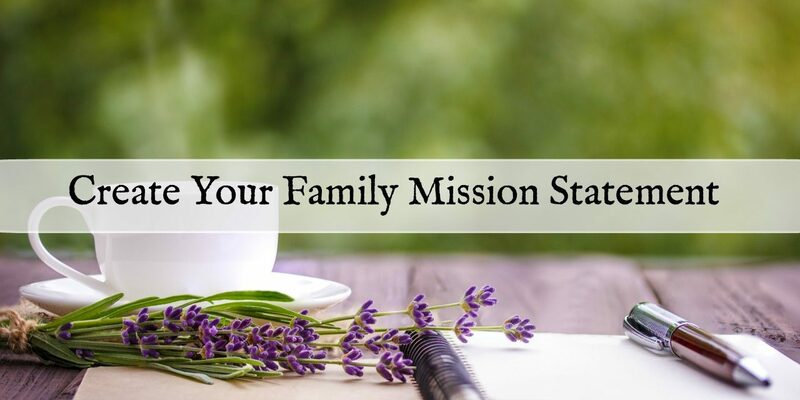 Have you written a Family Mission Statement? Maybe you used a different process or included other things. I’d like to hear about it. Leave a comment? Your Turn! Where do you do most of your homeschooling? I just wanted to tell you that when this came out I sent myself an email and filed in homeschool so I could get back to it. Now that I have, it has so helped us focus and be intential in what we do. Thank you again for sharing! Wow! Thank you Sarah. I’m always encouraged by comments like yours. Thank YOU for taking the time to come back and let me know you found a post helpful.